The Himachal Pradesh Chief Minister also said that he would appeal in a higher court against the rejection of his plea by the Income Tax Appellate Tribunal. 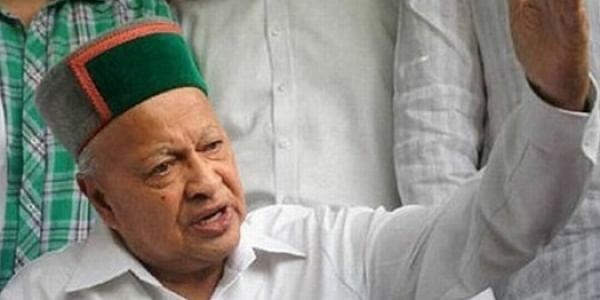 SHIMLA: Himachal Pradesh Chief Minister Virbhadra Singh on Saturday said the rejection of his plea by the Income Tax Appellate Tribunal (ITAT) is a part of a political vendetta and now he would appeal in a higher court against this verdict. “This is all based on a political vendetta. Finance Minister Arun Jaitley has already sent two special judges to hear my case. Jaitley and Anurag Thakur are trying to target me,” claimed Singh. Singh said he would appeal against the ruling as per requirement. The ITAT dismissed Singh’s appeal filed against the I-T department's move to reopen assessment of tax returns submitted by him for fiscal 2009-10, 2010-11 and 2011-12. In September, the Enforcement Directorate filed a charge sheet against LIC agent Anand Chauhan in a money laundering case involving Virbhadra Singh and others. A Delhi court had earlier on August 20 dismissed Chauhan's bail petition. Chauhan was arrested on July 9 in Chandigarh by the Enforcement Directorate after he failed to cooperate. Chauhan was arrested under provisions of the Prevention of Money Laundering Act (PMLA), as he was instrumental in investing Rs. five crores in LIC policies in the name of the Chief Minister's family, including his wife and children.